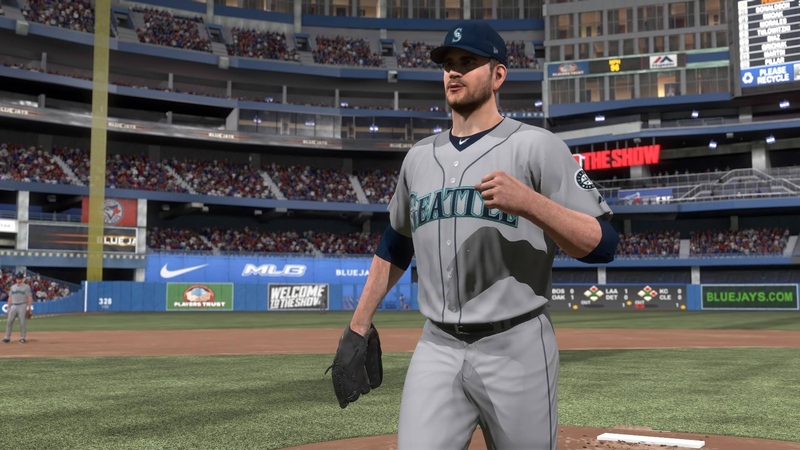 For just the second time this season a roster update has delivered attribute changes to MLB The Show 18. Unless otherwise noted, the ratings mentioned tie only into Diamond Dynasty where the numbers are lower across the board than in the game’s base roster. Coming off a 16 strikeout performance that was followed by a no-hitter, to little surprise James Paxton (+2 to 84) has moved up but just misses out on going Diamond. He benefits from boosts in H/9 and K/9 categories. Paxton did not not get adjusted on the regular roster. One player does make the move from Gold to Diamond this week and it’s the Yankees’ Luis Severino (+3 to 86). At 5-1 on the season with a 2.21 ERA and .87 WHIP, Severino has gone up in H/9, BB/9, K/9, HR/9, Velocity, and Stamina. On the regular roster he is now a 90 Overall. Other notables from the roster update include Francisco Lindor (+1 to 86), Jose Ramirez (+1 to 86), Paul Goldschmidt (-2 to 85), Josh Donaldson (-1 to 85), Gerrit Cole (+3 to 84), Andrelton Simmons (+2 to 84), A.J. Pollock (+2 to 83), Carlos Martinez (+2 to 82), Brian Dozier (-2 to 81), Willson Contreras (-2 to 81), Dee Gordon (+2 to 81), Rich Hill (-3 to 80), Andrew McCutchen (-2 to 79), Nick Markakis (+4 to 78), Eduardo Escobar (+5 to 76), and Walker Buehler (+13 to 73).